For us, especially girls, yogurt is a very familiar food. Yogurt is good for not only our health buhairt also our beauty, including our hair look. A lot of women find that taking care of hair with yogurt is both safe and effective. They have tried and succeeded in it, so why don’t you give it a try? 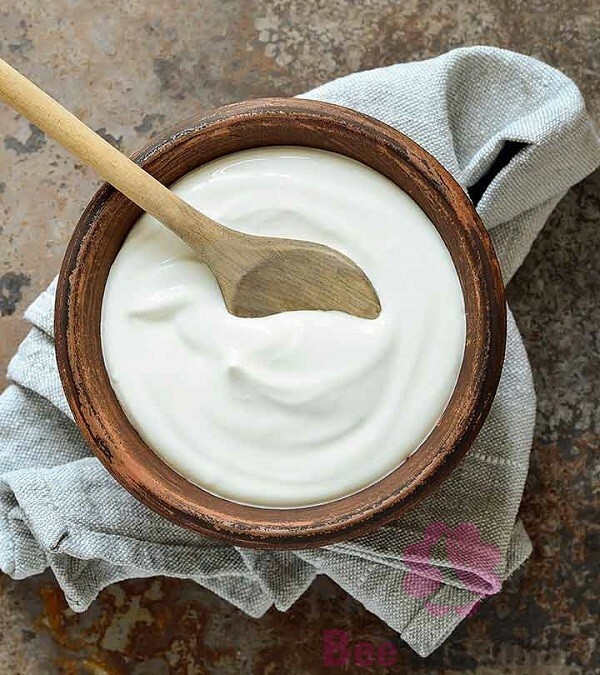 The purpose of this writing is to inform you about some amazing benefits of yogurt as well as some remedies to benefit your hair with yogurt. Let’s check them out. One of the most important ingredients in yogurt is protein which is able to stimulate the growth of the hair. Besides, lactic acid in yogurt helps to improve scalp circulation, which contributes to delivering blood to the hair follicles. As a result, your hair is encouraged to grow faster and longer. Making: Take about ½ box of sugar-free yogurt to make with 2 tablespoons of honey. Try to massage your scalp gently while you apply the mixture. Only after the 30 minutes have passed should you wash your hair again with shampoo. The fact is that the ingredients found in yogurt have the ability to prevent hair loss. Thanks to yogurt’s anti-inflammatory properties, each hair follicle is strengthened. As a bonus, protein in hair loss plays an extremely important role in removing hormonal-related hair loss. Making: Mix 4 tablespoons of yogurt with 1 chicken egg and blend them together. Apply the mixture to your natural hair and keep it for around 10 minutes before rinsing out with clean water. The combination of yogurt and egg creates a wonderful hair mask which helps you to get rid of dandruff as soon as possible. Yogurt is proven to have the ability to remove dandruff permanently even though few people know the remedy to get rid of dandruff with this supernatural ingredient. 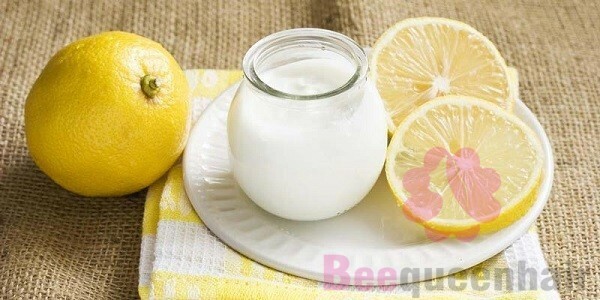 Making: Put 2 tablespoons of yogurt which need to be mixed with 1 tablespoon of lemon juice in a bow. In order to get a smooth mixture, you have to blend them well. Apply the mixture to your dandruff hair and please do not rinse it out until the 20 minutes have passed. The fact is that acids and enzymes available in yogurt make a great contribution to the prevention of dandruff. Yogurt is loaded with many kinds of nutrients and vitamins which are beneficial to your hair look. These nutrients and vitamins include zinc, vitamin B1, vitamin B2, vitamin B6, vitamin B12. Since they nourish the hair from the roots to the ends, the hair is given a chance to grow strongly and smoothly without any split ends. 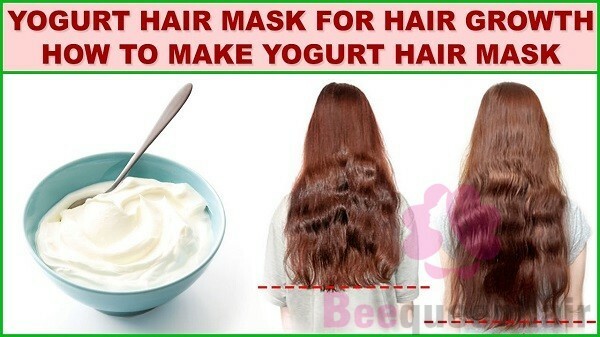 Making: Apply yogurt directly to your hair from the tips to the ends after each washing. After that, wrap your hair in a towel for about 30 minutes. Finally, rinse out with clean water. It is not surprising to say that yogurt is a wonderful natural cosmetic for hair. Wish you an effective application. Beequeenhair import export joint stock Company is one big supplier human hair in Vietnam. 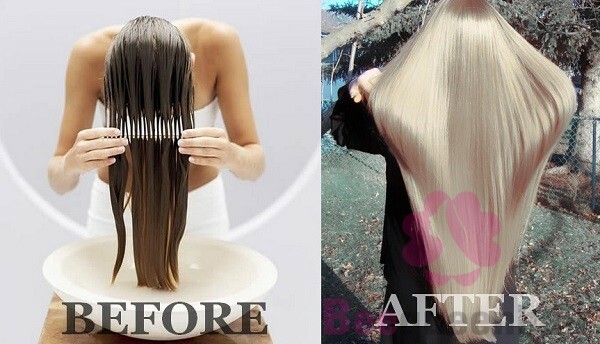 Please contact us if you want to own the best quality hair extensions.